Cognac, like all brandies, comes from the vineyard. Brandy is a unique spirit, with a full flavor that derives not from grains, but fruit. And cognac has become perhaps the most elite category of brandy, the ultimate luxury spirit from the French town of the same name. However, cognac isn’t defined by simply the place of origin or raw materials. For a product to qualify as cognac, it must also meet rigorous legal requirements for sourcing, fermentation, distillation and aging. 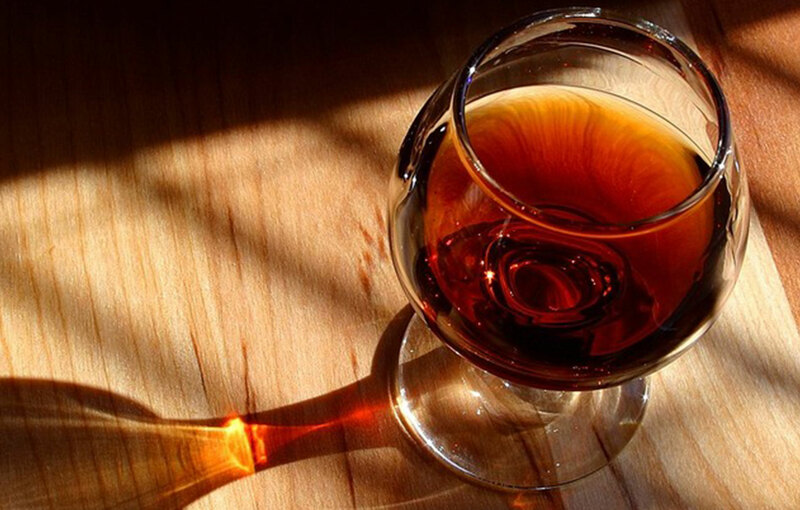 To the uninitiated, it can come as somewhat of a surprise that cognac is derived from grapes. The fruit is most closely associated with wine, not spirits. And in fact, cognac does begin life as wine of a kind, an extremely dry, acidic white with low alcohol content. The thin, bland wines produced in cognac country are not sold for drinking, but make excellent bases for distillation. The large majority of cognac is sourced from Ugni Blanc grapes, which must be grown in the Charente and Charente-Maritime regions around the town of Cognac. The collective areas from which cognac grapes can be sourced are referred to as the Appellation d’Origine Contrôlée. Ugni Blanc’s low-sugar, high-acidity properties make it ideal for making spirits, as they deter the development of bacteria during aging and distil to an ideal alcohol volume. The cooler seaside conditions on France’s South-West coast result in higher acidity, and the clay soil contributes to a unique and consistent flavor. The growth and shape of the variety on the vine also protects the fruit from disease and rot, meaning very few grapes go to waste. Ugni Blanc has many aliases, and is grown in other areas of France, Europe and the world, but to be used in cognac, it must be grown within the designated region. The Ugni Blanc is sometimes blended with other white varieties. The other major varieties that make up the balance are Folle Blanche and Colombard, which must also be grown in the Charente lands. Folle Blanche was once the primary cognac grape, and was found in many vineyards up until the 19th century. However, Folle Blanche is more prone to fall prey to disease, causing the industry to convert to Ugni Blanc. Colombard is occasionally used as a table wine. Like Ugni Blanc, the wine given by these grapes is thin and acidic. There’s also the more recent arrival of Folignan, a hybrid of Ugni Blanc and Folle Blanche which is more vulnerable to rot, but produces excellent eaux-de-vie. Once the grapes have been harvested, pressed and fermented, they undergo the double distillation process, a crucial part of the cognac method which increases the alcohol content and transforms the flavor. This takes place in copper pot stills, which helps imbue cognac with its amber hue and brings the alcohol volume up from around 8% to 70%. The distilled spirit, or eau-de-vie, will then be aged in barrels constructed of oak from Limousin or Tronçais, for two or more years. Control of the oak’s origin is important for the end result, as the barrel itself has a powerful influence on the final flavors of the spirit. The cognac will spend at least two years inside the oak barrel, which will ideally impart a smoky, rich flavor. Cognac is divided into several age categories, beginning with VS (Very Special) which has been aged for the minimum period of two years. VSOP (Very Superior Old Pale) is at least four years old, and XO (Extra Old) is at least six years old, but often considerably older. The age of the cognac is a marker its prestige, and the quality of oak is the defining factor in the superior complexity and smoothness of an aged cognac. Barrels are handcrafted and must be new at the beginning of the aging process. So, the short answer is that cognac is made from grapes; however, there’s more to it than that. 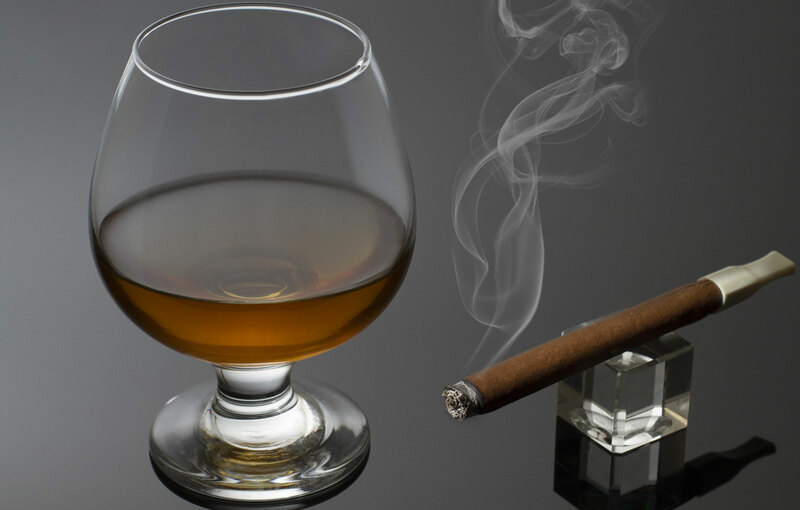 Cognac is a far cry from grape juice, wine and even other brandies. While grapes may make up the greatest volume as an ingredient, the role of other materials and processes has a massive influence on what ends up in your glass. The climate of the region creates acidity, distillation methods transform wine to spirits, copper lends taste and shade, and oak deepens and perfects the final flavor. Location, timing and resources are all highly regulated to create an unwavering standard of taste and quality. It’s this dedication to detail and the rigors of the industry that have helped make cognac synonymous with excellence. Cognac, then, is made not merely from grapes, but from knowledge, tradition, technique and patience.